The offending tweet was posted on February 28, following the murder of the Russian politician and coincided with a visit by the President Anastasiades. What do people in #Cyprus think about the week in Russia as seen from here? Anastasiades visit and statements, #Nemtsov assassination? However, the wording of the message posted on Twitter was not very clear and left it open to interpretation. "What do people in #Cyprus think about the week in Russia as seen from here? Anastasiades visit and statements, #Nemtsov assassination?" He even added another tweet in which he said Russian President Vladimir Putin could have been responsible for the ‘assassination’ of opposition politician Boris Nemtsov. @AHadjikyriacos I wouldn't suggest Anastasiades is linked to Nemtsov assassination. Be real. But Putin could be. The beleaguered US Ambassador began receiving flak from all sides, from Twitter users, to politicians and even the Cypriot Orthodox Church! The head of the Cypriot Orthodox Church, which traditionally has close links to Russia, was even more scathing. 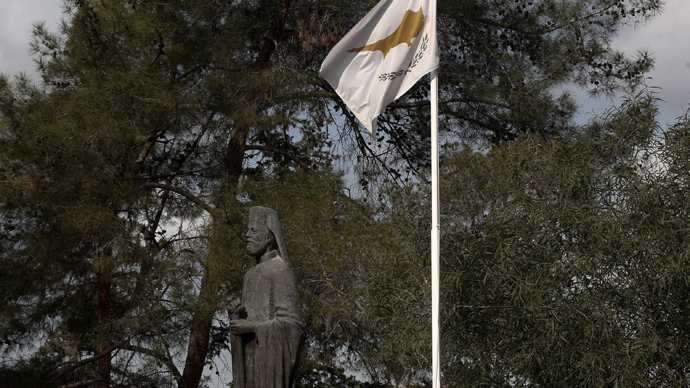 Archbishop Chrysostomos II said Koenig should be removed from his position. @AmbJohnKoenig a rather cheap shot on your behalf, your excellency. Rather than let the matter drop, the US Ambassador to Cyprus continued to dig himself further into a hole by making matters worse. @AHadjikyriacos As I have explained to another, week was big on close CY-RUS rels, ended with killing of Nemtsov. The company you keep. “As I have explained, week was big on close CY-RUS rels [relations], ended with killing of Nemtsov,” Koenig said before adding, “The company you keep” on to the end of the tweet, perhaps in reference to a decision by Cyprus to continuing to allow Russian naval ships to continue to use Cypriot ports – a move that has riled Washington. Koenig offered an apology: “I would like to clarify that my intention was neither to provoke nor to imply anything. I simply wanted to get the reaction of the Cypriot people on two different issues: first, President Anastasiades’ visit and statements in Moscow and, second, another dramatic event in Moscow last week – the assassination of Boris Nemtsov. It is unfortunate that some suggested that I linked the two issues. That was not my intention,” the Cyprus Mail reported. The embassy said that Koenig’s three-year term as the US Ambassador to Cyprus is due to end in the summer of 2015, though the diplomatic mission said his controversial tweets were not the reason for his departure. “Ambassador Koenig’s term as US ambassador to the Republic of Cyprus is for three years and his departure in the Summer of 2015 has always been anticipated,” the embassy said. “Another diplomat will be named to replace him, a process that requires the White House, the US Department of State, and the US Congress to all take actions,” it added, as reported by the Cyprus News Agency. Kathleen Doherty, the current Chargé d’Affaires at the US Embassy in Rome is rumored to be in position to become the new ambassador, according to the Cyprus Mail. Koenig is an active Twitter user, with his love of the Seattle Seahawks American football team and his penchant for landscape photography apparent. One of his other passions on the social network is ‘Russia bashing’, which he is happy to do at any given opportunity. He is also big fan of re-tweeting his colleague Geoffrey Pyatt, who is the US Ambassador to Ukraine. Pyatt is also an avid user of Twitter and has gotten himself into hot water in the past by making false statements.